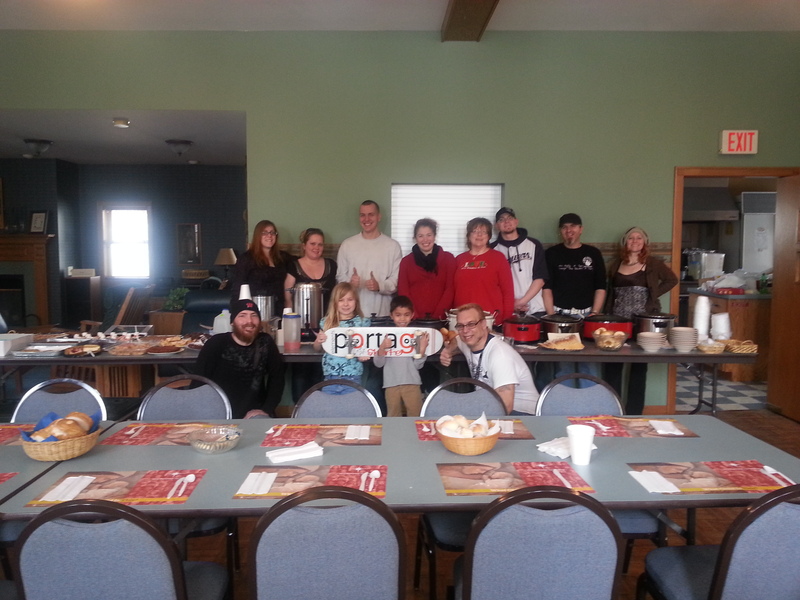 Portage Family Skate Park Chicken Soup Fundraiser a Success! With a veritable smorgasboard of chicken soup – Mexican, Chinese, Cream of Chicken with Rice, Chicken Dumpling, Chicken ‘n Rice and Chicken Noodle for the main course and desserts of varieties too many to count the Skate Park Project made over $600 today! Not bad for first try. Thank you to St. John the Baptist Episcopal Church for allowing The PFSP Committee to use your beautiful space to welcome supporters of the Skate Park Project! Some supporters drove an hour and half to enjoy the smorgasboard, others came from work to pick up soup to go and some families came for their evening meal. Even Keagen Did his part.